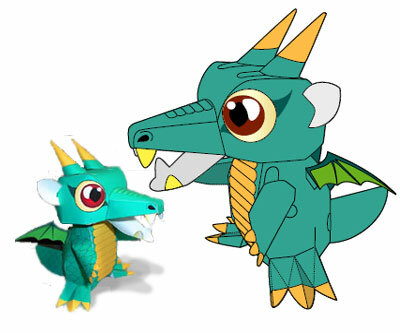 Another cute mini dragon papercraft for you guys. It's by Ryo Tokisato with free template and instruction. 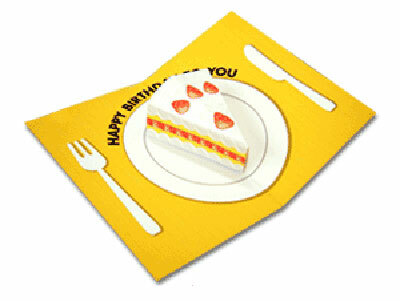 Cake pop up mechanism for birthday greeting card with 3 color variations of cake to choose. Free template that you can download, print out and make today. Happy birthday to this certain someone that i know. I think it's been years since i made a wish to her. Anyway, you guys can enjoy this card that i'm presenting to you today too. It's pretty easy to make and 3 types of cake that you can choose. I think there are chocolate, and cheese cake but not so sure about the other one. Check out the image and tell me what you guys think. 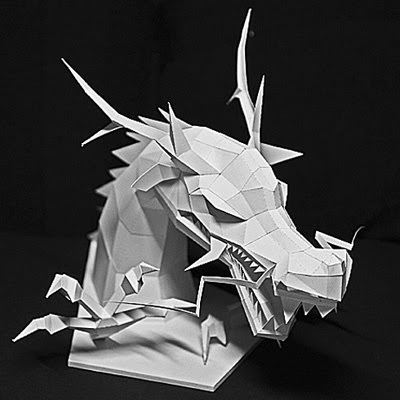 Another awesome paper dragon head figurine. Traditional asian dragon by Takashi Okada. It could become a good homework. It's not easy to make because each part is small. But you won't have any problem if you are used in assemble paper model.